Garth Brooks performs at Homecoming in the Round at Belmont University Nashville, Tennessee, February 23, 2018. 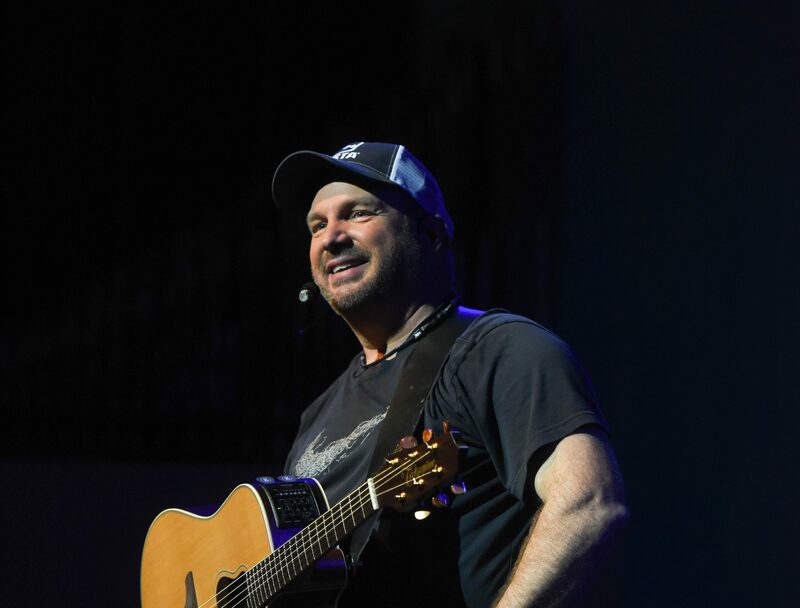 Award-winning singer and songwriter Garth Brooks brought gasps and cheers to Homecoming 2018 Friday night with a surprise appearance at the 6th annual Homecoming in the Round concert, an event hosted each year by songwriter and Belmont alum Gordon Kennedy. The “Celebration of Song” concert recognizes decades of talented Belmont songwriters, and this year offers special recognition to the 10th anniversary of Belmont’s Curb College songwriting major. Homecoming in the Round at Belmont University Nashville, Tennessee, February 23, 2018. The show opened with outstanding performances featuring several No. 1 hits from alumni Matt Dragstrem (’08), Sawyer (a duo comprised of 2017 graduates Kei Taylor and Emma Harvey), Justin Wilson (’07), Sarah Peacock (’05) and a trio performance from recent Grammy winner Dwan Hill (’08) along with Marcus Hill (’09) and Nate Dugger (’08). Kennedy (’81) then came to the stage offering a tribute song to the late Billy Graham and a rendition of his 1997 Grammy-winning Song of the Year, “Change the World.” Speaking of how blessed he already felt by the evening’s guests, he then introduced his surprise special guest and long-time friend by telling stories of his generosity and servant spirit while Kennedy toured with him on the road. Momentarily dumb-founded, the crowd sprang to life with cheers as Brooks took to the stage with just a guitar. He then spent the next 90 minutes sharing stories of the music he grew up with and how it shaped who he became as a songwriter and musician, noting influences of everything from his dad’s favorites of Merle Haggard and George Jones to his mom’s singing of Mahalia Jackson and Aretha Franklin. As he grew, the range diversified even more as he recounted hearing James Taylor, Keith Whitley and his favorite, George Strait. Throughout the evening Brooks delighted the crowd breaking into the hooks or a single verse of many of the tunes he referenced. After sharing who he is currently listening to, a list that ranged from Hunter Hayes and Midland to Ed Sheeran and Lady Gaga, he advised the aspiring artists and songwriters in the room to stay in school, noting how many ideas would come from simply living life and being around peers. He also added that college offers countless opportunities to perform, honing the craft on campus and off.